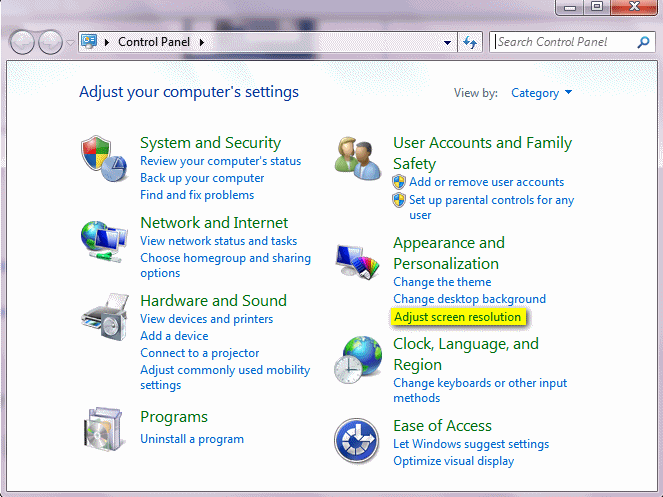 A nice feature in Windows 7 is you can enlarge the text and icon size of desktop items, prompt windows and more, without having to change the actual screen resolution. 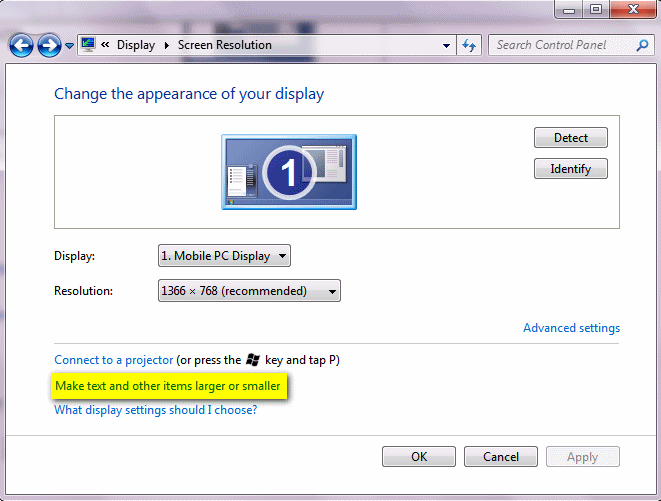 Most monitors have a recommended screen resolution, and most wide screen monitors or laptops will show text, icons and prompts quite small when using the recommended resolution. Changing the resolution can result in out of focus text, web pages and more, but this feature will allow you to keep your recommended screen resolution and still resize text, icons and more! Note: If you only occasionally need to see text or icons larger, just use your magnifying glass. Follow prompt in the next window, log off. The changes will take place when you log back on. The lavendar background you are using is wonderful. So spring like, not to mention of my favorite color family. I makes it a lot easier for me to read. Thanks so much for all you do keeping up to date and SAFE white computing. I am having a time with the text and icons on the work page. my eyes are not what they used to be but love to work on my comp. I used to get emails from you but had to change servers and therefore I do not receive your mail anymore I so miss it.. my new email address is …. hope to hear from you. Lena, I’ve added you to the list and you should be receiving our newsletters beginning next Friday. If you’re interested in getting our daily tips & tricks, you can subscribe by going to http://www.thundercloud.net/start/subscribe.htm . If you want to read the last 12 weeks of InfoAve Premium, you can read them on the web at http://www.thundercloud.net/infoave/premium/. Thanks!